And performing at the 2013 Ski Hi Stampede is . . .
On July 25, 2013 at 8 pm Tracy Lawrence will be in Monte Vista and the opening act this year is Thomas Rhett. Tracy Lawrence's songs that you might recognized are "If the Good Die Young," "Texas Tornado," "Time Marches On," and "Find Out Who Your Friends Are." Thomas Rhett has two songs that are currently being played on the radio: "Something to Do with My Hands" and "Beer with Jesus." This is sure to be a great concert so get your tickets early. The Ski Hi Stampede (pronounce sky) is Colorado’s Oldest Pro Rodeo and takes place every year in Monte Vista, Colorado. In 2013 it will celebrate 92 years of outstanding rodeo! 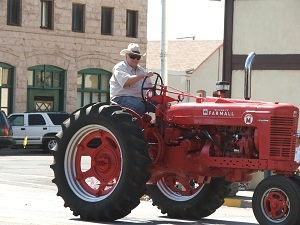 It is the last weekend in July and includes parades, rodeos, dances, a concert, a carnival, and much more! For a complete list of times and events you can check our calendar at the end of July. Click here to see the calendar. If you are in the San Luis Valley during this time it is the place to be! Share your Ski Hi Stampede stories with other visitors here!. 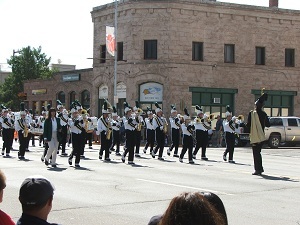 The parades take place on Thursday, Friday, and Saturday, and they run through downtown Monte Vista. It begins at 10 A.M. sharp with a loud cannon explosion to start the parade, so be prepared or you will jump! In front of the Sunflower Bank located at Hwy 160 and Adams Street is where the announcers sit. They tell what each parade entry is about. It is not critical to sit where you can hear unless you are really interested in what organization made each float. Some people bring folding chairs to sit on the sidewalks with while others prefer a blanket along the curb. It is up to you what you want to sit on and where you want to sit. The farther away from the start you sit the longer it takes for the parade to get to you, so I personally like to sit near the Dairy Queen on Highway 160. The parade makes a loop starting by the visitor’s center, moving west almost out of town to Davis Street before going a block south and starting back east on Second Street. If you missed the start or just want to see a float again it is only a block to see the other side of the loop. Each day the parade gets a little longer as there are more entries on Saturday than Thursday, but this also means more people. On Thursday you can arrive 5 minutes before the parade starts and find great seats but on Saturday you need to plan ahead and arrive 20 minutes or so early. 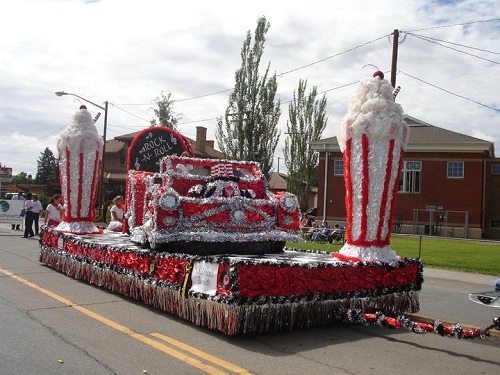 The parade consists of floats made by local churches and organizations, antique and new farm equipment, local high school marching bands, and horses. There is also lots of candy and popsicles given out. Don’t forget to bring your camera to capture this unique experience!! 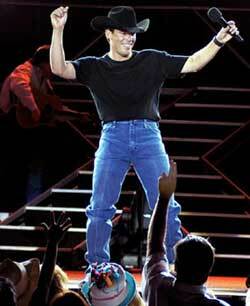 The concert takes place Thursday night at 8 P.M at the Ski Hi Stampede Complex on Sherman Avenue. The gates open at 7 P.M with the preshow starting at 7:30 P.M. The concert stage is set up in the middle of the Ski Hi Stampede Rodeo Area. There is standing room in front of the stage or you can sit in the grand stands. Both areas are a first come first serve so if you want a great spot plan to get there early. The tickets usually range from $20-$40 depending on the performer. You can save around $5 by buying tickets before the concert instead of at the door. The best place to get tickets for the concert and other Ski Hi Stampede events is at the Monte Vista Chamber of Commerce. 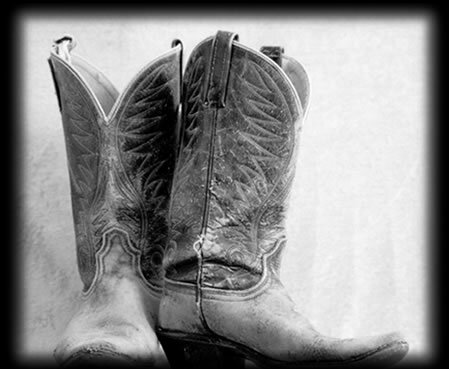 The nightly dances are a great place to unwind and kick up your boots to a country tune. There is a live band playing country music with a dance floor in the middle. If you attend the concert or the Friday night rodeo the dance is included, otherwise it is a $10 entrance fee. This is by far my favorite part of the Ski Hi Stampede! Any day you go to the rodeo is sure to be fun. I really like the Friday night rodeo just because it is under the lights and gives a different atmosphere. I also like the Sunday rodeo as this is when the winners are announced and belt buckles and saddles are awarded. The rodeo consists of amateur and professional competitors. The amateur rounds are mainly made up of local people while the professional rounds consist of the people that travel the pro rodeo circuit. Both are really fun to watch and cheer for. My favorite places to sit are either above the bucking chutes or in the middle of the grandstands. The bucking chutes sell out faster than other areas as they are popular and have fewer seats available. When buying your tickets ask for the middle of the grandstands and they should be able to give you the best available. 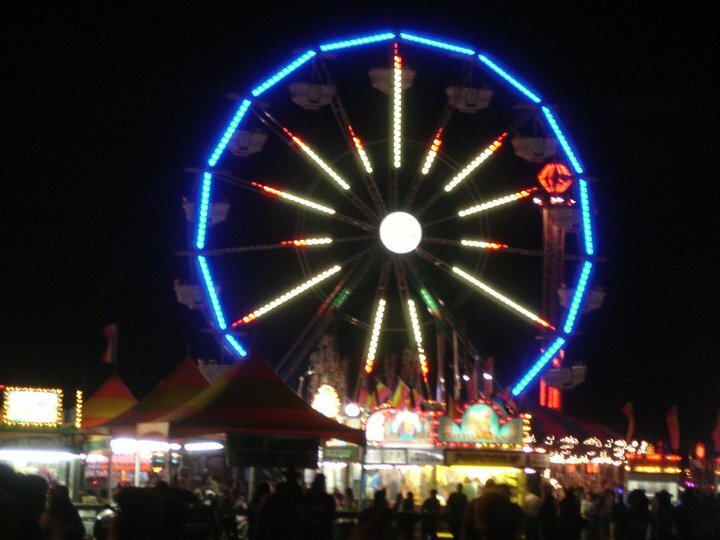 The carnival takes place every night (Thursday-Sunday) and is a little scary in my opinion. I don’t find the people scary but the rides I do. I just have a hard time riding rides that are put up and taken down every few days to go to the next place. This just seems unsafe to me. I am sure there are regulations and lots of checks to ensure everything is safe and in all my years of going to the Ski Hi Stampede I have never heard of any accidents. Tickets can be pricey so it is best to buy a pass and ride all you want. Feel free to wander the carnival, ride the rides, or try to toss a ring over a duck for a prize! What was your favorite part? What would you recommend to other visitors?